National and local authorities in Greece, Poland, Spain, Croatia and Bulgaria will participate in a new pilot action to improve governance and administrative capacity-building in the management of regional funds, the European Commission announced on Thursday (24 May). €900,000 from the European Regional Development Fund (ERDF) has been set aside for the first phase of the pilot programme in the five countries, said Karmenu Vella, the EU’s Environment Commissioner. Vella made the announcement on behalf of his colleague in charge of the regional development portfolio, Corina Crețu, during a high-level conference on good governance and Cohesion in Brussels on Thursday. 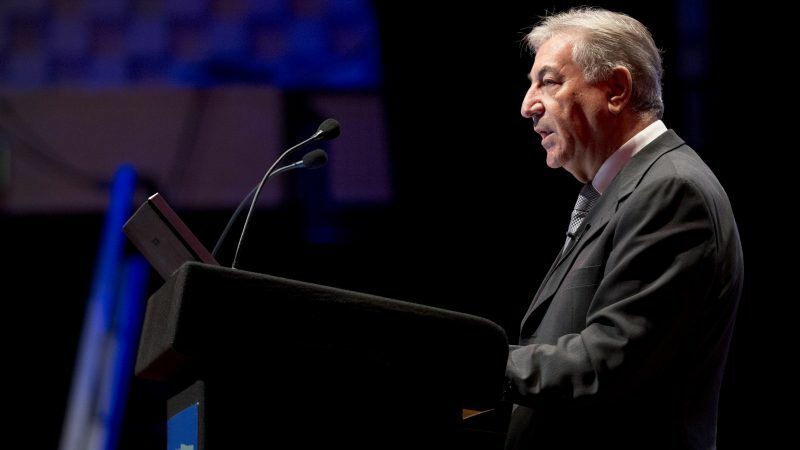 Highlighting the need for good coordination among strong managing authorities, projects and beneficiaries, Vella said “the point of this new pilot is to test and develop a new method to strengthen the administrative authorities’ capacities”. Defining efficiency gaps and administration mismanagement has long constituted a major issue in the long-term impact of cohesion policy. The first phase of the pilot is expected to run between summer 2018 and March 2019, while the second phase will be implemented as of 2019. The authorities will focus on a series of improvements in organisational set-up and transparency, human resources, internal procedures, tools and ICT systems and good governance, including interaction with external stakeholders. Throughout the action, the Commission will support all the participating regional and national authorities and provide guidance and tools like the competency framework and the networking instrument PEER 2 PEER. Tailor-made support will be provided also by the Organization for Economic Cooperation Development (OECD). The action concerns the ‘Transport Infrastructure, environment and sustainable development’ programme in Greece, the Extremadura regional programme in Spain, the ‘Competitiveness and cohesion’ in Croatia, the Lubelskie regional programme in Poland, and the ‘Regions in Growth’ in Bulgaria. “To fully unlock the potential of public investment in terms of growth and jobs, solid institutions and well-functioning administration are as important as the money itself. In the next long-term EU budget, lessons drawn from this pilot action will help boost the effectiveness and performance of EU and public national funds alike in the future”, Commissioner Creţu commented in a written statement. According to the insights from the 7th Cohesion Report, corruption and acceptability of corruption in public procurement and public services remain a normal trend in some countries of the EU block. The results showed that 1 in 5 citizens think it is not wrong to provide civil servants with gifts in order to receive something in return. Quality and impartiality of public services in Europe remain uneven, and the same goes for digital procurement procedures, where big differences among member states have been noticed, for example with Denmark reaching 90% and Romania barely touching 10% of e-government services. As far as project management contracts are concerned, limited competition continues to be an issue, with the same bidders usually winning over the majority of the programs. Without efficient administration and targeted reforms, management of EU funds remains a dead-end game. At the same time, complex regulations and policies without adequate funding make implementation even more difficult to achieve. Especially now with the announcement of the proposal for the next Multiannual Financial Framework, the need for good governance, flexibility, simplification and distribution of Cohesion money remains a top priority for national and regional entities. “We need to be more efficient now more than ever, we need to do more with less. However, nobody knows what exactly that means” said Tomislav Donchev, deputy prime minister of Bulgaria, which holds the rotating EU Presidency.